I got an email the other day from a woman who was featured here on Inspiring Homesteads back in June. It was a rough day for me. I was worried about this site. I have big dreams for The 104 Homestead and I can feel swamped from time to time. Some days I wonder if all my hard work is worth it. I wonder if I truly am teaching people to homestead no matter where they live or what their circumstances are. The day I received this email was one of those days where I was questioning my purpose. Not any more. If this were the only email I ever received in my writing experience, it would be enough for me. I had tears in my eyes reading it and promptly replied. It opened up a great discussion between us and we email frequently now. This woman inspires me. I am in awe of her perseverance and I believe you will be too. I wanted to give you an update about things. I thought I was getting my head above water. After my heart attack last year and being a single mom, I was left with a ton of medical bills. I have insurance, but I still have to pay some which had made our tight budget even tighter. If it wasn’t for my garden and trying to go back to the basics, I would probably completely under the financial boat. Some things in my garden did well but some things not so well. I bought some peaches from the local orchard and canned my first peaches ever. My 15-year-old daughter loved them so much she consumed all 12 jars the summer. I would come home from work and find empty jars. I found that I was able to save more bananas and strawberries by freezing them, especially the bananas that started turning brown because the kids wouldn’t eat them. I found myself trying to cut down food waste as much as possible, and I’ve started composting. I bought peaches from a local orchard and canned them. Unfortunately, my kids liked them so much they ate all of them this summer. This is something that next year I will have to can a lot more of. I thought my summer was going well then my doctor discovered I’m losing blood somewhere. So I’m scheduled for more testing. They believe all the blood thinners I’m on since the heart attack has caused a bleeding ulcer. But I have cut down on a lot of my medicines by eating more home-grown stuff. This helps financially. I read an article by Don’t Waste the Crumbs about going 30 days without spending money. So I decided to try this as much as possible. All of this prepared me for the disaster that has happened. I was sitting at the kitchen table and heard a noise. I thought it was one if my son’s toys. Nope. It was water leaking from the ceiling. Great, our plumbing runs through the attic. Call a plumber, but it’s not the plumbing. It’s the central air conditioning. I live in central Texas and with my medical problems I can’t handle the heat. Therefore I need to have air conditioning during the hottest weather. I am trying to condition myself to go without and I can withstand some heat if there is a breeze. But the days with scorching heat and little wind makes me very sick. So I call the air conditioning people. They fix the problem that caused the water but the ceiling was so wet it collapsed. Now a huge hole is in the ceiling. We have plastic over hole until I can get it fixed. But the a/c people discovered bigger problems. Those cute little squirrels we see have made their home in my attic. They have caused lots if damage including chewing the insulation off some of the electric wires. Bare wires in the attic is a fire hazard. Thank The Lord my uncle is an electrician and I can work out a payment plan. But I’ve had to pay the plumber to come out and pay the a/c people an outrageous amount of money for an hour’s work and a hole in ceiling. This is the hole that I have from a leak. Due to having to pay the guys to fix the air conditioning, I have no extra money to buy the sheet rock to replace it. So we put plastic sheeting over it until at least next payday. To sum things up, I have no extra money for much of anything. 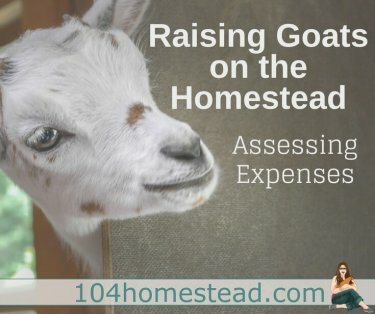 Once I would have panicked, but this homestead mindset has helped me prepare for this. I have a fall garden started. I don’t know how it will do but anything is better than nothing. I already had the seeds trying to plant in Spring but I never knew you could plant them in fall. I live in central Texas and have read Eliot Coleman’s “Four Season’s harvest”. I figured if he could grow food in Maine in winter that I could grow it in Texas too. I was reading about Refashionista.net which led to my next problem. My 5-year-old son needs jeans for the cooler months. I don’t have the money to buy them. My daughter is 15 and has jeans she outgrew a couple of years ago. I have sewing patterns, sewing machine, and elastic scavenged from various things. Why can’t I make his jeans myself? I usually have to alter his clothes anyway. Besides the help that gardening has provided, food is our main problem. Most of my bills are fairly fixed. Our grocery bill is the only thing that is totally flexible. I try to use coupons for things like toilet paper and stuff, but I’ve started cutting everything I can. Toothpaste has become a baking soda mixture with powdered stevia and spearmint which I grew, dried and crushed. We look at things differently. Do we really need it? Can be substitute it? Cooking has taken on a challenge. I have to get creative and make things from scratch. Plus I am trying to eat a lot healthier. I find that coupons are mostly for processed stuff and the processed food is what contributed to my health issues. I grew up on processed food. I would rather my kids eat a cantaloupe that was $1.50 than a bag of Doritos that cost $2.98. I bake cookies, muffins, and bread. My son rolling out dough for cookies. Because we don’t have a lot of money, things like this helps him learn and have fun. But it’s the mindset that you have that makes a difference. You have to think differently. The homesteader doesn’t think like everyone else. I have a clothes dryer and I live in a Texas. I don’t have a clothes line but I have clothes hangers, clothes pins and cup hooks. I put the cup hooks in the porch and hang the clothes out there on hangers from the hooks. I don’t throw up my hands and say I don’t have a clothes line so I have to use the dryer. I use it on large items but most things I hang. I found a way to do it until I get the money for a clothes line. I realize that a 100 years ago people on a homestead couldn’t just give up or whine. Even though I am in town, I am trying to have that mindset. I understand my grandmothers use it up, recycle it, and make do attitude. I have various pickle and mayonnaise jars sitting around filled with things. They are perfectly good glass jars that have found a second use instead to going into the trash. LEFT My blueberry tomatoes. I bought the seeds from Baker Creek Heirloom Seeds. These were definitely my joy this year. TOP I have never grown potatoes so I tossed a potato in a container and just kept adding soil until it reached the edge. Those potatoes sure helped out a lot. BOTTOM This was a small compact tomato. It would work great in a container. I plan on growing these through the winter on the window. If I plant one about once a month, then I should have a steady supply of tomatoes throughout the winter. Your website has helped me a lot and pointed me to others that have given me the information that has been beneficial. Without this knowledge I would be at the bottom of a financial lake instead of keeping my head above water. Jessica, here’s a quick update. I just got out of my 7th heart cath. At the age of 41, my heart disease is that of a 70 year old. But new medicine and the fact I grow a lot of my food has helped. I finally got chickens and look forward to fresh eggs. My financial situation has improved through a lot of your suggestions. I lost your email or I would give you a more detailed update. But needless to say things have improved. First~ Jessica, you rock! Just found your site and so far am loving these stories of inspiration. Next~ Andrea, you might find a contracter who would be willing to share the ‘scrap’ materials in order to fix your celing. Sometimes materials are good (& not really scraps,) but a homeowner just wants an update. Also, keep faith. You are doing an awsome job & your children will be wiser than many of their peers. Thanks so much! And that’s great advice for Andrea. I’ll make sure she swings by to see your suggestion. This makes me feel small for feeling sorry for myself in hard times. Makes me realize I should be stronger no matter what and learn what to do when I can’t do what I want. One question about her growing her own potatoes, did she really just throw one regular potato in dirt and it grew more potatoes or did she have to use a special kind of potato. I’m wanting to have my own garden and need all the help and ideas I can get. I am praying for her, and thank you both so much for sharing this story, and for your blog. I am so glad Andrea’s story inspired you. It inspires me 🙂 I have a feeling she used a regular grocery store potato. Although you can purchase what they call seed potatoes at the farm & garden stores, sometimes you can have good luck with regular store potatoes. I bought seed potatoes a few years ago and since then, I save the tiny potatoes to plant again and we eat the larger ones. I haven’t bought potatoes in years. I used regular store bought potatoes. My sister-in-law throws out a lot of stuff and I usually end up with it. I have gotten potatoes, sweet potatoes, lettuce cores that I’ve regrown. I believe in a recycle, reuse, and flat wear it out. I wasn’t always like this, but once you get your mindset right, you see things differently. Thank you for the kind words. The town I live in is small and they don’t have clothing swaps. Some of their really good clothes that they can’t wear I take to a resale shop in a larger town. But I don’t get over there much as I am trying to conserve gas. I have to say that I admire Andrea’s truthfulness and how she has perservered through it all. Then you hear of others complaining who do have money and want to spend it all on clothes, fast food, etc and just can’t understand why they can’t have it all. Could she also check with her church or other parents to do a clothing swap? Perhaps her daughter’s outgrown clothes could be exchanged for jeans for her son, etc. We just never know how our kindness will help in the future. Thanks for sharing. Beautiful story from a very courageous lady. God bless her family and you also for giving us all perseverance. Wow, I’m impressed. Love that “never give up” attitude. God put you in her life for a reason. Continue on we need your site in more ways than you will ever know.